Transitioning from Uki-Gatame to Juji-Gatame. The message is about the yin and yang balance between two ideas that seem juxtaposed to one another. The first being full commitment and the second being the flexibility to adapt and make a change. However, this balanced idea of “hold on tightly, let go lightly” is the very heart of not only the best martial artists but also the most successful people in life. In attempting to effectively strike, strangle, or throw our opponent we cannot be “half hearted.” We must be fully engaged and determined in meeting the objective. We must make our best effort always. Like Kenny Rogers famously sang, “you have to know when to hold them…and when to fold them.” That is to say, when the technique is CLEARLY not working, won’t be working, and the attempt to make it work is only expending energy unwisely (and making you less safe), you must LET GO LIGHTLY. This is at the heart of the The Way of Gentle Flowing Power (Jukido). We must be able to commit fully in one breath but at THE VERY SAME TIME be able to adapt as needed without unnecessarily “holding on tightly” to what isn’t working…and thus perhaps losing the momentary opportunity to make a successful adjustment in approach. This can apply to testing in the dojo, long held ideologies, health, opportunities in life, approaches to business, and personal relationships. Fight for them! Make them work, be fully committed to success….but when success with that approach is no longer possible, don’t hold on…LET GO LIGHTLY. Adapt, flow, maintain balance, stay strong. Don’t Let Bullies Get Away With It! “You don’t fight bullying with bullying.” This is what young children were told during an assembly style discussion on bullying at the school my daughters attend. Her school, which I have an overall incredibly high opinion of, is one of the many schools that proudly proclaim to be a “Zero Tolerance” campus as it pertains to bullying. “Well, what if someone is trying to beat you up and hurt you?” The message was the same, “You don’t fight bullies by bullying them back.” Physical conflict of any kind and for any reason is not tolerated! Zero-Tolerance for ever striking someone, period! Albeit well intended, this advice and policy is incredibly ill-advised and pernicious to a degree that is hard to understate! There was a recent Yahoo news story floating around Facebook about a 10 year old boy named Aiden who was bullied but refused to fight back because it was “Not the Jedi Way.” To be clear, this boy wasn’t being teased or even lightly pushed around. In fact, it was the third straight year of bullying. This boy had been previously violently assaulted by bullies to the point that he required stitches on his face. This was now the second time he required a hospital visit post bullying incident for, once again, getting stitches on his face. This incident started with someone trying to take Aiden’s backpack. The mother is now pressing charges according the the story. The graphic included is a picture of Aiden, included in the Yahoo article, after the latest incident. There is a lot of disturbing detail to this story that can’t be overlooked. Of course, there is the minor detail that it is technically incorrect to say that one can’t fight back because it isn’t the Jedi Way. Star Wars is well, “Wars.” There is plenty of fighting back. But frankly, that is coming from a 10 year old boy. The real issue is the messages he has been given by adults, school policies, and societal trends. Consider, just a for another moment that this boy has been bullied for three straight years and two of those incidents were serious enough that the boy needed stitches on his face. Consider that the child never fought back for fear of “getting in trouble.” I mean, after all, you “don’t fight bullying by bullying back.” There is Zero-Tolerance for ever striking someone, period. It gets more disturbing when adults seem to make comments that extol the “virtue” of not fighting back in these clear cut cases. Mark Hamill, who played Luke Skywalker is quoted about Aiden saying he was, “ astonished by his wisdom and courage.” On my Facebook feed, where I saw this initially, one of the comments in response to the article was, “Good for him.” Good for him? Really? This is good for him? This is the wise course of action? To be hospitalized twice in the last three years and be in a situation that sees this young boy bullied for more than a quarter of this entire life? To be applauded for not even making the slightest attempt at self-preservation? Is this approach supposed to incentive bullies to stop? Is this approach supposed to be good for the physical and mental health of the bullied (or even the bully themselves) or the culture of the nation’s collective school campuses? This story, and some of the reactions to this story, hit home with me in large part due to my teaching children self-defense for the past two decades. Unfortunately, this story is not only common but every single year I teach, it becomes increasingly more common. The story of Aiden isn’t an isolated situation. Far from it! I’ve personally experienced an overwhelming increase in the number of students and desperate parents coming to our school of self-defense looking for another way. To be clear, “another way” isn’t code for: encouragement of getting into fist-fights, beating people up at the drop of a hat, or encouraging physical solutions to problems when other clear alternatives are preferable and available. In fact, there many other tactics that can be used which creates a situation where you don’t have to physically fight back. However, it does NOT completely eliminate or attempt to villainize the possibility of having to justifiably physically defend yourself if you truly have no other alternative and are facing physical harm. The other way is NOT based on the sickeningly perverse premise that anyone involved in a physical encounter, for any reason, has mandatory punishments imposed on them (zero tolerance). Rather, the other way is based on the premise that you not only have the RIGHT but the RESPONSIBILITY to defend yourself. Physically or not, the policy of Zero Tolerance needs to be replaced with policy of Don’t Let Bullies Get Away with It. “Don’t let bullies get away with it” can take many forms. In all, but the most extreme cases, we aren’t talking physically striking or fighting someone. But that option (1) can’t be totally taken off the table by stating with there are no exceptions, (2) shouldn’t be villainized (“you don’t beat bullies by bullying them back”), and (3) needs to be clearly understood. We must create a culture that ensures children know that the adults around them find them valuable enough that they find them worth protecting. This is of immense importance. That children are given permission by the adults who love them to keep themselves safe from uncalled for physical attack. Defending yourself from an unjustified physical assault isn’t “bullying the bully”, any more than a woman defending herself from a sexual assault is somehow “wrong” for doing whatever is necessary to enforce her physical autonomy and safety. Difference of degree, perhaps…But the underlying principle is the same: NO ONE has the right to unjustifiably hurt you and if they try, you are JUSTIFIED in the attempt to protect your physical well-being. It is your well within your ethical right to protect yourself. Consider the following few examples. Does a nation have a right and RESPONSIBILITY to look out for its well-being? Does a nation EVER have a right to defend itself from unjustified aggression? Does the actions of those brave souls on Flight 93 on September 11, 2001 who fought hijackers from further harming others fall under the category of “bullying the bully?” Would it have been better if those incredible Americans had thought it the so-called “Jedi Way” to sit down, shut up, and just take it? What about you? It is 3:00 a.m. and you hear someone break into your home. You look at your baby monitor and see the intruder with a hand inside your baby’s crib. The attacker is in your daughter’s bedroom. Is your instinctive response to that scenario to “not bully the bully?” How would you feel if some parent in that scenario, saw it happen, had the means to stop it…but didn’t? Further, how would you feel if after the fact someone then said to that parent that they admired them for their “courage and wisdom?” What if that parent justified it by saying that they were “afraid of getting in trouble” with the authorities? Would that be OK or even virtuous? Would you want the police officer in who has a clear shot on the active shooter in your child’s school to take the shot? Wouldn’t it be his RESPONSIBILITY to take the shot if it is clear and available to him? Isn’t that the more Jedi like way? Using force to stop bad actors from furthering their actions isn’t somehow evil in principle. Obviously, we would prefer not to in a situation where it is necessary…but that is the point…sometimes there are situations where it is not only a necessity but a responsibility. The scaling and scope of the situation might vary but the principle doesn’t. The devil in the details to be sure. But that is yet another point. The details should be looked into. Feel good slogans such “Zero Tolerance for Bullying” and well-intended, but poorly thought out, policies are at worst a major contribution to the problem. Even if one is inclined to give the most charitable interpretation possible of these policies: one would state that they are, even if not contributing, at least ineffective at dealing with the issue. Especially ineffective in the critical moment when one is faced with a choice: allow oneself to fight the survival (and ethical) instinct of self-preservation and do nothing or alternatively to defend oneself from unnecessary physical harm. The slogan sounds right! Without much critical analysis it is easy to proudly proclaim, “I’m so glad my kid’s school has a Zero Tolerance for bullying. It makes me feel safer.” Well, it shouldn’t. Although an oversimplification, there is an undercurrent of cowardice to the policy. Not wanting to make a call. Not wanting to tell a parent who believes their child can’t do any wrong, “After reviewing the situation thoroughly, your child is in the wrong and this child is clearly in the right.” It is easier to not take sides and just state that, “I understand you are upset ma’am but BY POLICY we suspend everyone if there is a physical altercation.” It isn’t that I’m making a call based on the specifics of the situation but rather “the policy” predetermining that everyone is equally guilty. Of course, it isn’t the only factor, but one can’t help wonder how these these issues connect to the epidemic of mental health that sees younger and younger kids depressed, suicidal, or homicidal. In my position teaching children jujitsu for self-defense, I’ve had many intense telephone and in-person conversations with parents who are looking to either proactively prevent their child from being bullied or, as increasingly the case, are looking to stop the bullying their son or daughter is currently encountering. Many parents feel as if they have followed all of the administrative steps encouraged by their schools with no real results and see their children’s confidence (and safety) tanking. I encourage loving adults to give their children permission to defend themselves. They, obviously, shouldn’t give children permission to get into “fights.” This distinction needs to be made very clear (just as our civilian self-defense laws do). Nonetheless, kids hearing from their parents, teachers, etc. that whether it is a child abductor, an active shooter (Run, Hide, Fight), or a bully – we always have the right to protect ourselves from unwarranted violence if no other clear options are available. We need to ensure our children that they do NOT need to and SHOULD NOT negotiate with a bully who is in the middle of physically assaulting them. Children need to hear and know that their parents are not only OK with them standing up for themselves but that parents expect them to physically defend themselves. Kids need to know that they will NOT in be “in trouble” for defending themselves! Unfortunately, and unintentionally, kids get the message from adults that they will “get in trouble” for “fighting.” It is considered one of the biggest No-No’s! “You better not get into fights!” or they hear vague messages about “just ignore” the bully or “just walk away.” Another is the message to “find an adult” if a bully is giving you trouble. Behind all of this well-intended advice is the underlying message that you shouldn’t ever have to get physically involved with a bully. Most of the time, that is right. But most of the time isn’t every single time without exception! Most of the time police officers don’t need to use their firearm. But most of the time isn’t every time. Sometimes when all other options have been exhausted or the danger is overwhelming and upon us right now, we do what needs to be done to ensure safety. We need common sense and courage to prevail in these matters. The combination of this so-called Zero Tolerance policy and the adult advice that strongly encourages kids to “walk away” and “not fight” comes to a breaking point when the child is at that critical moment where, despite his best efforts to put all the advice he has been given into practice, he is now a few seconds away from being physically assaulted by a bully with no help insight. It causes physical and psychological hesitation! He is at the crossroads of what he should do “in theory” versus the practical options he has right now – in reality! If he fights, he’ll get “in trouble” with school and parents. If he doesn’t fight – he’ll get in trouble anyway (zero tolerance policy) because he was involved in a “physical altercation” and didn’t “just walk away” — but at the same time if he does nothing he’ll risk his physically safety. What is the young child supposed to do in this situation? 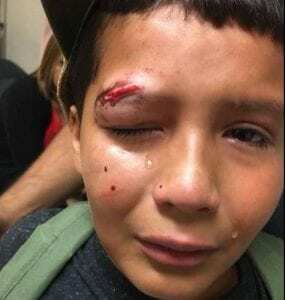 If you get a call telling you to pick up your kid from school because he was attacked and defended himself…but due to “zero tolerance” was suspended along with the bully. I would encourage you to pick up your kid and take him out for ice cream and let him know how proud of him you are for having the courage to follow through on his responsibility to keep himself safe from physical harm. When kids know that they have permission to assert themselves and they won’t be in trouble, we instantly make major gains in kids confidence. Any self-defense expert will tell you that carrying oneself with confidence is an important factor in preventing attacks to begin with. It isn’t the type of coddling or pacification model of the so called “safe space” but rather a model encourages people to legitimately be safer through concrete words and actions in the world. Validating to themselves they can take action and that there is no virtue in neglecting responsibility to assert yourself when justified. This creates a situation where kids are legitimately safer through courage, confidence, and education. 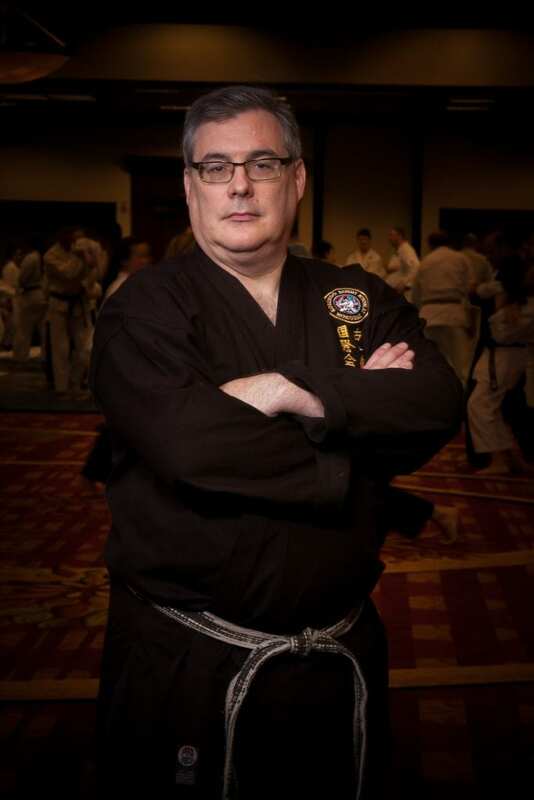 Kaicho Gregory Howard began his martial arts training as a child at the honbu dojo (world headquarters) of the International Kokondo Association (IKA) under its’ founder, Shihan Paul Arel (10th dan -rank retired). Today, Kaicho Howard is the world’s leading authority on the authentic martial arts system of Kokondo. In late 2008, he was appointed as successor by Shihan Paul Arel, his Sensei for over 37 years. As the International Director, he is responsible for leading the IKA worldwide as well as maintaining the authenticity of the Kokondo arts. Kaicho Howard was promoted directly by Shihan Paul Arel to the rank of 7th dan in both Jukido Jujitsu & Kokondo Karate. In 2013 the Board of Masters & Directors of the International Kokondo Association unanimously awarded him the rank of kyudan after 41 years of non-stop study – the highest rank ever awarded to a living Kokondo-ka (aside from the founder). He is currently the highest-ranking black belt in Kokondo. The long martial arts history of Kaicho Howard began in 1972. The late Shihan Arel stated that Kaicho Howard as a child was a quiet but enormously dedicated student who desired to learn everything he could about Kokondo. Kaicho Howard’s passion for applying the powerful arts of jujitsu and karate for realistic self-defense has lead to a lifetime of study. He started in the art of Jukido. As Kaicho Howard’s skill grew, so did his confidence. This once quiet young boy is now an intelligent, gifted communicator and martial artist. Since Greg Howard became a nidan, at age 19, he has been the standard of Jukido jujitsu – being second in rank only to Shihan Arel. Before the passing of the founder, Kaicho Howard served as a top representative of Shihan Arel in a number of capacities. In addition to being the favorite uke (training partner) of the founder, he served in the past as the National Jukido Director and the International Associate Director of the IKA. As Kaicho (leader), Master Howard serves Kokondo as the Chief Instructor of the Honbu (World HQ) dojo – leading regular instruction and the instruction of the Kokondo Yudanshakai (black belt association). In this capacity Kaicho, succeeds Shihan Arel, as teacher of the elite group of Kokondo black belts, including all senior sensei of the IKA. Kaicho Howard travels to teach and expand the Kokondo arts at both the national and international level. As a martial artist Kaicho’s techniques are well known and difficult to forget. His encyclopedic knowledge of how to maximize the potential power of the human body is matched only by his knowledge of how to systemically control and fundamentally destroy that very same potential. Kaicho Howard is without question a master of the maxim Seiryoku Zen’yo (optimal use of energy). 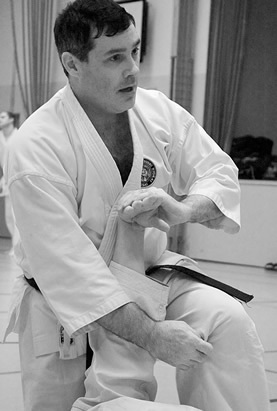 Although his skill level is extraordinary and well balanced among all the branches of techniques within Kokondo, Kaicho Howard is well known for his technical proficiency in nage-waza, taiho-jutsu (arresting techniques, including atemi-waza or pressure points), and his accuracy in karate-jutsu techniques and kata. Kaicho Howard once said that martial artists approach mastery when they use their own body’s responses and trained reactions, almost as a living reference book, to teach themselves and others. Although he wasn’t referring to himself, the definition holds especially true in his case. The founder instilled in Kaicho Howard the uniqueness of Kokondo. His training included the entire curriculum of Jukido Jujitsu along with old style jujitsu drawn from classical systems (specifically authentic sanzyuryu jujitsu). Kaicho Howard’s Kokondo Karate experience encompasses all the Kokondo Kata as well as bunkai (applications) and himitsu (hidden) techniques within them. As a teacher he is unique in that he can infuse and balance the traditional discipline required in the dojo while at the same time being able to provide a humorous tone as necessary. Humor is a teaching tool. It’s often said that confident teachers poke fun at themselves to illustrate a point. Kaicho is a teacher with the highest level of authority and skill, but with the humility to answer a question even long after class has ended and almost everyone has left the dojo. His “hotel lobby” and “parking lot” lessons are often as memorable and beneficial as his instruction in the dojo. Howard sensei is a truly masterful teacher – a teacher’s teacher.